The Everton outcast was supposed to join Chelsea in the summer transfer window but it was then manager Ronald Koeman who decided to keep the midfielder from being sold. Image Source : TWITTER A file image of Chelsea's new signing Ross Barkley. 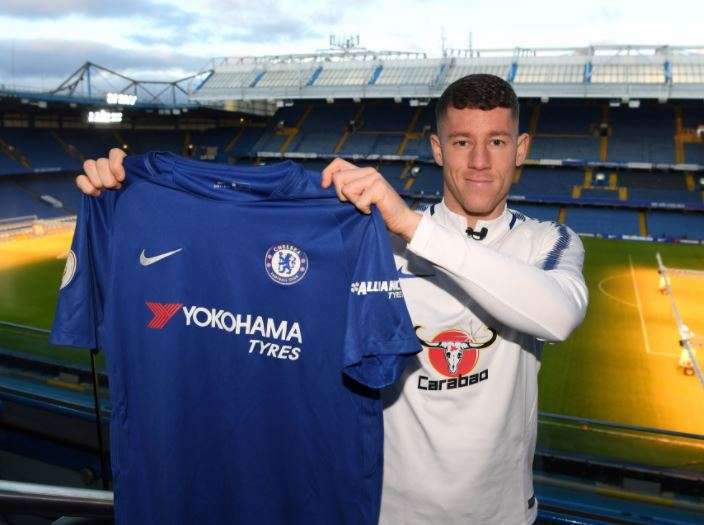 England midfielder Ross Barkley joined Chelsea from Everton on Friday as one of English soccer's unfulfilled talents looked to revive his career. The 24-year-old Barkley signed a 5 and a half year deal at the Premier League champions, with British media reporting a transfer fee of 15 million pounds ($20.3 million) for a player whose contract was due to expire at the end of the season. "To be given a fresh start at a new club like Chelsea, it's unbelievable for me," said Barkley, who hasn't played this season after surgery on his hamstring. But he hasn't developed as many would have hoped at the Merseyside club, with former coach Ronald Koeman scathing at times last season about the midfielder's failure to make the next step in his career. He also struggled under the weight of expectation of Everton fans at Goodison Park. Because he hasn't played for Everton this season, Barkley is eligible to play in all four competitions that Chelsea is involved in.